Underfire water bosses have called for a united front to tackle the threat of flooding on the Fylde coast. Flooding on the Fylde Coast. United Utilities came under fire last month from councillors as part of an inquiry into catastrophic flooding in Anchorsholme and north Blackpool in November last year. Members of Blackpool Council’s tourism, economy and resources committee accused the company of not pumping excess floodwater into the sea for fear of damaging the quality of the bathing water and facing a fine from the Environment Agency. They claimed this contributed to around 300 homes being flooded during 48 hours of heavy rainfall. But Keith Haslett, director of wastewater at United Utilities, says the United Utilities drainage system worked as it should have done on the night, and rising waters from rivers and other watercourses caused the problem. He said: “A lot of surface water was coming into the catchment area. “We can deal with our customers’ sewage from their homes and store water up to a 30-year storm event, but we can’t deal with a lot of water coming from rivers, watercourses and private culverts. “And it is that which overwhelmed the system. Mr Haslett said on the night of the flooding on November 22, described as a one-in-64-year level storm, Anchorsholme pumping station was operating all night. A power trip affected pump five, but engineers in the area were able to maintain in. In addition 26 resolution units, whose job is to unblock sewers owned by United Utilities were used to clear gulleys and culverts outside of United Utilities responsibility, as part of the company's response. 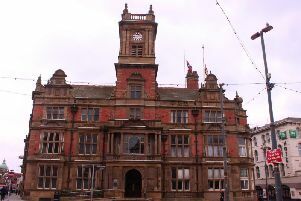 Fylde coast were also operating but are only triggered when a certain amount of water fills the sewers due to the way Blackpool’s sewer and drainage systems were originally built. Information collected by various parties will now go into a Section 19 report into the flooding incident, which is due to be published early next year.